You can accept invoice payment via customer’s credit card. 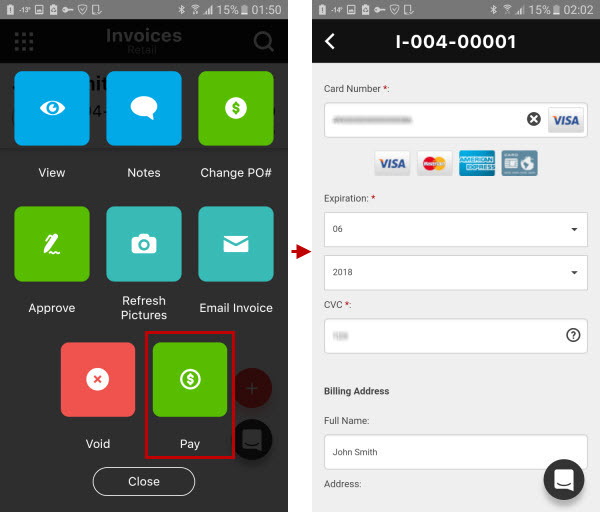 Tip Learn how to pay an invoice. 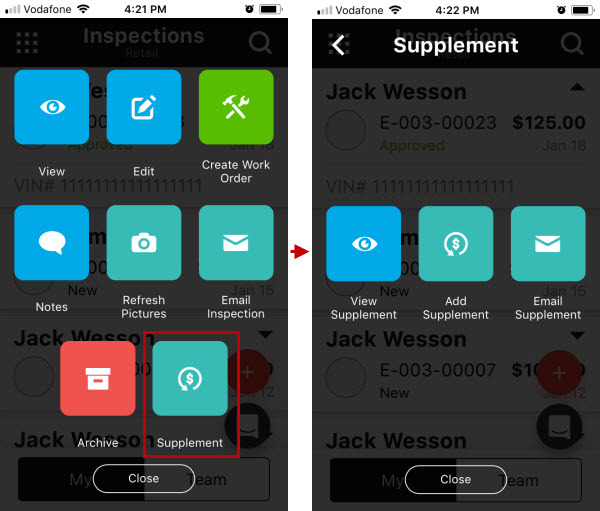 You can manage inspection supplements that require customer’s approval. Tip Learn how to add, view, and email inspection supplements. 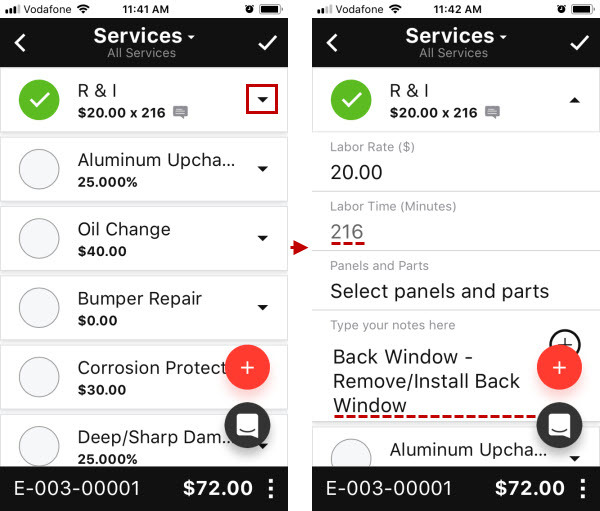 You can add R&I labor services to inspections or work orders, and get actual labor time automatically calculated for particular panels and parts. Tip Learn how to add R&I labor services to inspections and work orders. Now you can add new customers by getting contact information from your device. 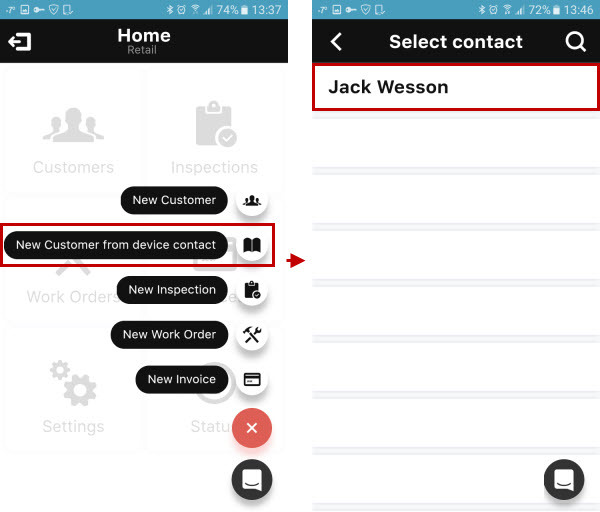 Tip learn how to create a new customer from a device contact. 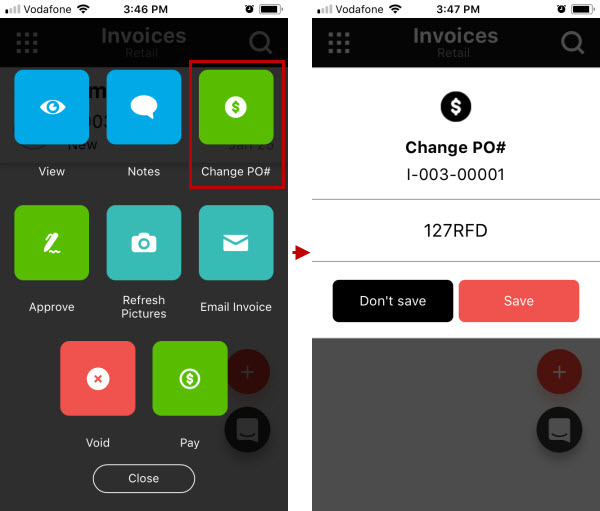 You can add or edit PO number in an invoice that has already been saved. Tip Learn how to change invoice PO number.